Danny Boyle left the project over ‘creative differences’ last month. 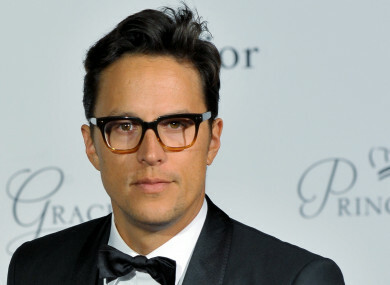 AMERICAN FILMMAKER CARY Joji Fukunaga is to replace Danny Boyle as director of the next James Bond movie. Michael G Wilson, Barbara Broccoli and star Daniel Craig said the still-untitled Bond 25 will start filming at London’s Pinewood Studios on March 4, and will be released on 14 February 2020. The film was delayed from the planned November 2019 after Slumdog Millionaire director Boyle left the project last month over what producers said were creative differences. Fukunaga won an Emmy Award for the first season of TV series True Detective and wrote and directed gritty war movie Beasts of No Nation, starring Idris Elba — often named as a potential successor to Craig as the suave superspy. The new film will be Craig’s fifth, and most likely last, performance as 007. Fukunaga, 41, is the first American director in the series, which began in 1962 with Dr No. Wilson and Broccoli said Fukunaga’s “versatility and innovation make him an excellent choice for our next James Bond adventure”. Email “Next James Bond film back on track as Cary Fukunaga named its new director”. Feedback on “Next James Bond film back on track as Cary Fukunaga named its new director”.